Digital Bottle Top Dispenser Sigma-065BTD:- We are offering Digital Bottle Top Dispenser to our clients. Sartorius bottle-top dispensers, Proline® Prospenser, Prospenser and Biotrate, are designed for trouble-free, safe and reliable liquid dispensing directly from a supply bottle containing strong acids, bases and solvents, for example. In order to cater the variegated demands of our precious clients, we are trading a wide range of Bottle Top Dispenser. 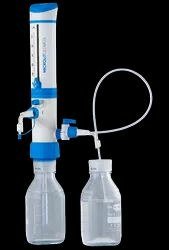 We at Priman also provide a huge range of Bottle Top dispenser which is Designed for performance handling of liquids from a large variety of bottles and flasks, the dispensers combine the latest in dosing technology. Like the regular seripettor, it features an easily-replaceable wiping seal dispensing cartridge, making it especially suitable for liquids that tend to form crystals. 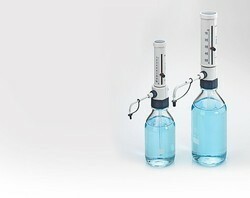 Dispensette TA provides outstanding performance for precise volume dispensing of high-purity media for trace analysis. Also suitable for HF with platinum - iridium valve spring.